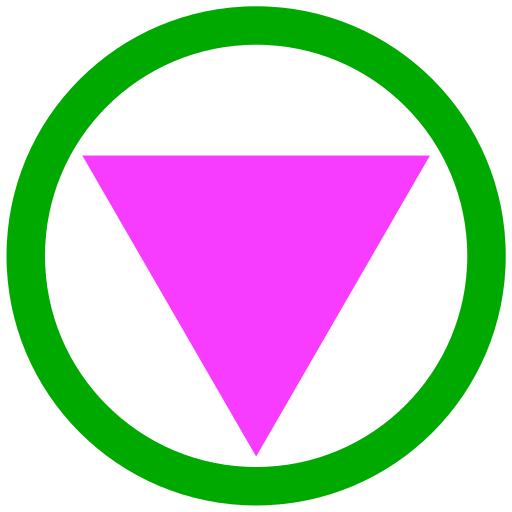 English: An inverted pink triangle surrounded by a green circle, as used to symbolize alliance with gay rights and space free from homophobia. Author The original uploader was Bridger987 at English Wikipedia. Transferred from en.wikipedia to Commons by Varnent using CommonsHelper. current 13:26, 6 April 2018 512 × 512 (324 bytes) Thomas Linard SVGOMG optimization.